The idea of Mars as the home of the little green men has captured our imaginations for a very long time. The Beatles may have wanted to live in a yellow submarine, but I have always wanted to be able to live on Mars. As a kid, I had a reccurring dream about discovering life on Mars and getting famous. Yeah, I know, there are easier ways to get famous, but not as much fun. Anyway, so everytime there is a whiff of hope about life on Mars, I get excited. The flurry of recent discoveries made by tenacoious little Curiosity has had me on edge for a few years, waiting for some big announcement from NASA. But as a physicist, I should know better. News of new discoveries come in slow trickles. In this case the slow trickles are quite literal. About 3 years ago Curiosity found liquid water on Mars and I simply had to write a Tania story about it. You can read Tania's Martian Encounter here. Now it reports changing methane levels on Mars. Although not indisputable evidence of past or present life on Mars, these findings all point in the right direction, and allow romantics like me to continue to hope, that someday we will live on the red planet or befriend its inhabitants. 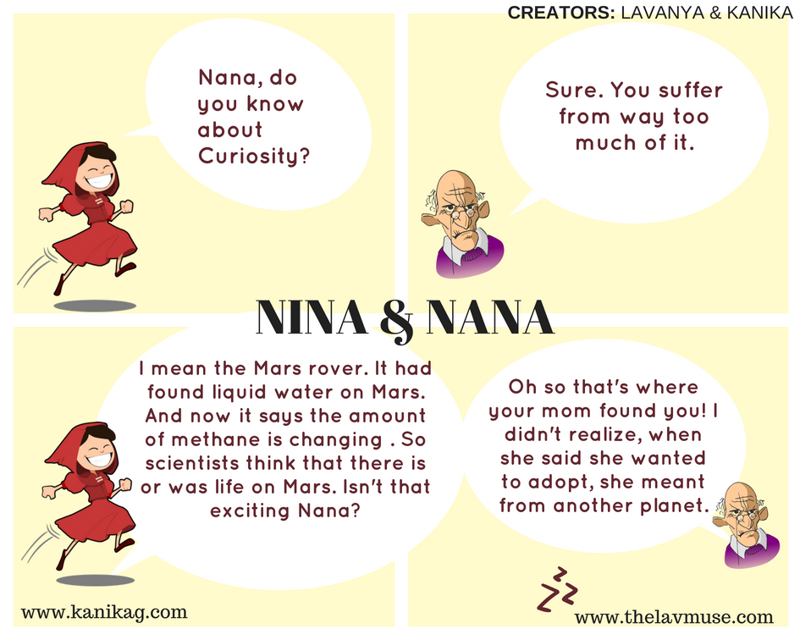 See what Nina and Nana have to say on the subject.